how to assign different templates to different page or article? In joomla 3, i need to know how to assign different templates to different pages or articles? 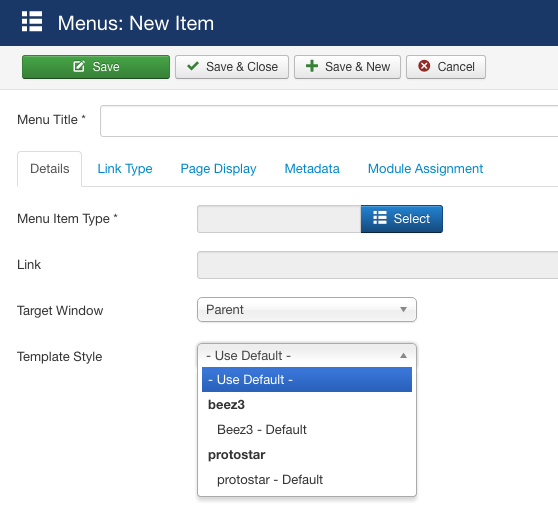 From admin panel you can only assign template to menu item (Itemid) so you can link articles to menu items and you're good to go. In php you can assign it via setting templateStyle variable. If you want to do this without coding, to do it all through admin panel you'll need custom plugin. Not the answer you're looking for? Browse other questions tagged joomla-3.x templates template-override or ask your own question.